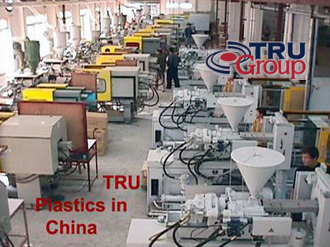 TRU Group Inc analyzed telecom plastic technical engineering application problems for an American plastics company manufacturing in China. Advised on plastic materials change and product design modification to improve the product performance. Assessed China plastic factory operations and total quality management issues to improve productivity and upgrade quality for USA market segments. Also recommended product research and China production & development. TRU Group for the CEO worked with the President of a Division which was experiencing operational and management difficulties. Conducted a financial, marketing and operations strategic assessment. Set business objectives and detailed implementation tasks. Major changes in distribution and promotion strategies for the US were implemented. The Division was transformed, achieved profitability, and made profitable through recession. TRU Group studied the feasibility of building a paper bag & sack plant in Canada. Plant for plastic film and flexible packaging evaluated. Assessed the market for paper bags and sacks, and the competing plastic alternative which was rapidly taking the market. Although the market was supplied from outside the region, we concluded that inward transportation costs, particularly of the plastic products, were not a barrier to market dominance and that a local paper plant was not viable. 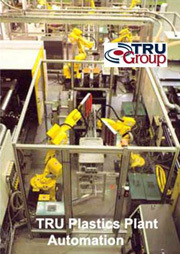 TRU Group Inc was retained by an automation equipment manufacturer re-organize the marketing of their plastic automation equipment, propose product development, examine business health and costs, assist with financing, and prepare a five year plan. Introduced major change in distribution and product pricing, and overhauled sales automation methods. TRU Group Inc reviewed prices for a major plastic raw material producer who was facing mounting customer objections to price increases. Examined production cost and market price factors to determine their influence on product/market development. Reviewed resin price trends and and advised the company on a implementation of a new pricing and marketing strategy in view of customer resistance. TRU staff managed an assessment of international opportunities in twelve petrochemicals polymers, including the demand, capacity and trading patterns for the products. Examined technology and production cost trends as well as the competitive advantage the client may be able to rely upon. The company subsequently entered into major petrochemical production. TRU Group assessed the applicability of an operations & machine troubleshooting management system for plastic manufacturing plants. The management system was designed to assist plant managers particularly when operations break down or are not meeting target outputs. Reviewed its potential use in and provided recommendations. TRU Group Inc staff managed a techno-economic and business assessment of the custom forged steel company, which was facing serious financial and operational difficulties. Reviewed operations and technical status of the plant. Assessed US target plastic parts manufacturers, and competitive conditions, and positioned the company for the future. Recommended changes in strategy as well as operational and plant improvements. Company became very profitable with the changes. TRU Group studied the cost competitiveness between plastic and metal bathware manufacturing for American Standard. Also developed a market penetration curve for the substitution of plastic bathware against the plastic equivalent.